Mr. James “Zeke” W. Garner, 87, passed away Tuesday, March 26, 2019, at Moses Cone Hospital surrounded by his family and friends. A Celebration of Life service will be held at 3:00 pm on Sunday, March 31st, at Moriah United Methodist Church, 3611 Liberty Road, with Reverend Carroll Carter and Reverend E. Lee Ellis officiating. A reception will follow in the fellowship hall. Zeke was born May 7, 1931, in Guilford County. He served in the U.S. Army. He was retired from UNCG Physical Plant and was a volunteer firefighter with Alamance Fire Department Station #4. Zeke was a longtime member of Moriah Church serving as Head Usher and a member of the Methodist Men and the Adult Sunday School Class. 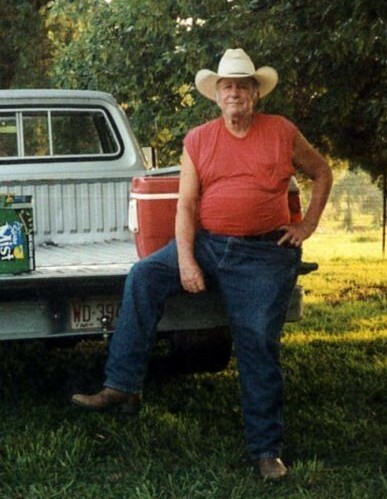 He loved cooking for gatherings with friends and driving his tractor and Dodge truck. He was preceded in death by his parents, Charlie and Bessie Coble Garner and his sister, Marceen Garner Harrison. He is survived by his wife of 58 years, Faye H. Garner; daughter, Teresa Garner Ratcliff (Edwin “Eddie”); his special family, Patty Craven and daughters and their children, Nikki Spivey (Brian) and daughter, AnnaBelle, Stephanie Howell (Audie) and daughter, Stevie and a host of other family and close friends. In lieu of flowers, memorials may be made to the Children’s Home of Winston-Salem or to the Cemetery Fund at Moriah United Methodist Church.